More weekday evening race action this week starting with the final event in the three race Forest 5 series in Crowthorne Woods. Sixteen members were in action on the night with strong performances throughout. Helen Antram has a superb series finishing 2nd overall in the Female Vet category helped with another podium finish on the night. Andrew Brooks took 16th overall on the night and 3rd Vet in the overall series with consistent runs in all three rounds. Friday night track training was ramped up this week for THE Track Challenge. Twentyfour runners split into six teams to contest events from 100m to one mile with the relays forming a grand finale. We’ll have a full report soon but in the meantime…. All three local Parkruns were open again this weekend. Bracknell was popular with eleven members in action from a total field of 385. 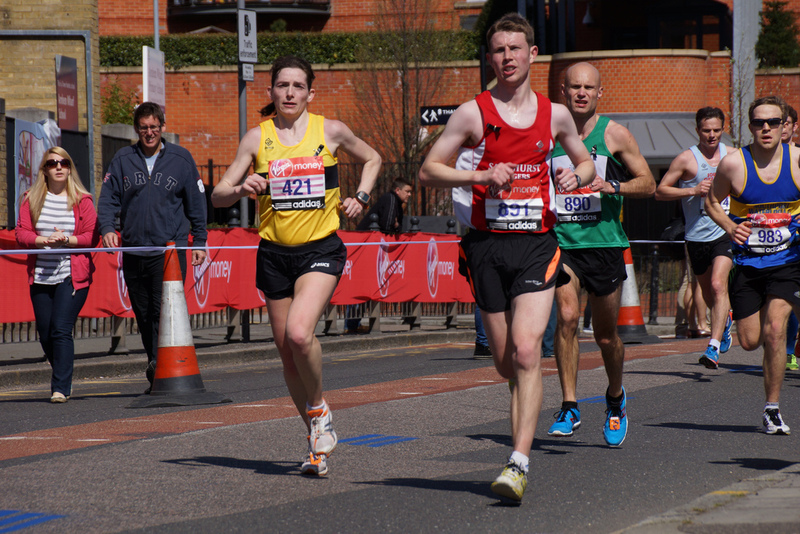 Dave Breslin showed fine form finishing first for the club in 22:36. A strong women’s SJ team was led home by Sarah Alexander. Rushmoor also saw eleven SJs enjoy the fast course. Nigel Evans was the first member to finish in 24:35 while both Harvey Young and Sam Pittick both had top runs to record a PBs of 28:00 and 29:46. Blanche Barnes, Sophie Pibworth and Michelle Williams all had fantastic first runs at Rushmoor to record their fastest Parkruns ever! Another huge turnout of 590 at Frimley Lodge which is joining the big leagues of Parkrun. Eight SJs joined the masses with Stephen Casey first member to finish in 21:38 which is only seven seconds off his best ever on the course. More quality Parkrun tourism this week with Lisa Hale and Royston Crandley running at Moors Valley, Dave Ayling was in action in Tring, Sharon Conquer ran at Northampton, and John Tovell at Crane Park. Not too many races on Sunday with Lisa Hale’s run in the Wexham Park Trail 10k being the only one I’m aware of. This week we had a new King of Strava with Krzysztof Zielinski topping the leaderboard with a total of 72.1km. Sophie Le Saux was second with 62.5km and Phil Beard third with 55.6km. Biggest participation ever this week with Sixty-nine members logging runs. To take part in this just create a free Strava account and link it to the club in your profile. Tuesday: There will be multiple groups running on Tuesday from Sandhurst Memorial Park this week starting at 6:30pm. Later the interval sessions will meet at The TYTHINGS in Yateley at 8pm and head up to Blackbushe for a pairs session. Wednesday: Sharon Burfield will be leading the Wednesday Pub Run along the canal path from the Waterwich at Odiham this Wednesday at 7pm. Please confirm your attendance on Facebook and also your menu choice if you are planning on joining for food at the pub afterwards.